Gilles LAPERS and Marta SAWICKA, of Belgium, are trying to find out more information about her gandfather ZIGMUNT SAWICKI born in Ciechanowiec on 16 Feb.1907. 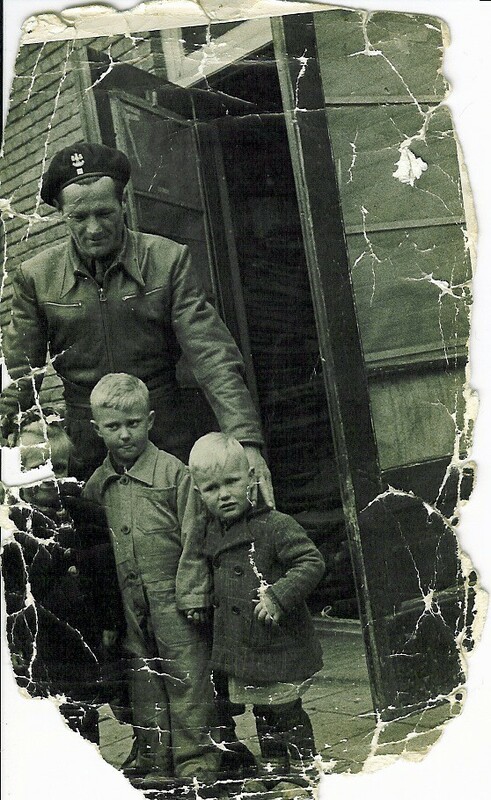 According to the GENERAL MACZEK MUSEUM the picture in the family photo album was taken in 1945-1946 somewhere in Holland. 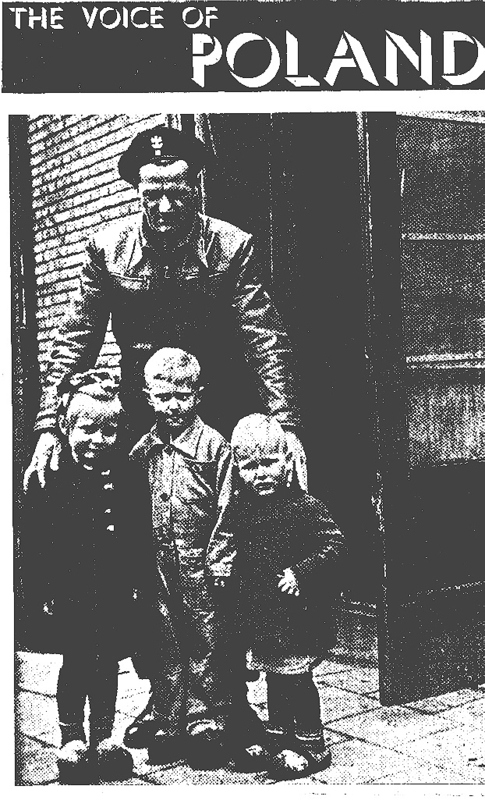 As a Polish soldier he helped liberate Holland including these three children. The photograph was on the coverpage of “THE VOICE OF POLAND” Volume 5 Number 3 (359) 10th, February 1946. Zigmunt Sawicki was in the traffic control squadron 1 arm.Div. 1 polish Corps from The 01/07/1940 to 23/09/45. At 24/09/45 he was at the Armoured Division Squadron Field park 1 Arm. Div. 1 Polish Corps. Gilles and Marta would very much like to learn the names of the children so any information about Zigmunt Sawicki or the three children would be very much appreciated. Please email Gilles Lapers and Marta Sawicka if you can help. Listed below is the service record for Staff Sergeant Zygmunt Sawicki. I'm including this in hopes someone will see read it and think I was there at that time, or I know someone who was there. On capitulation in France, June 1940, he was evacuated to the United Kingdom arriving on June 25, 1940 and came under British command from July 1, 1940 and posted to the Traffic Control Platoon, 10 Armoured Cavalry Brigade. Served in the United Kingdom 1940-1944 and on the Continent 1944-46. 09-05.45-13.09.46 Allied Occupation Forces of Germany Serviced with Police Forces Under British Command: July 1, 1940 until honourable discharged on September 13, 1946.